Let’s ask what’s happening to you… not what’s wrong with you. In 1979 I met and later married (in 1988) a woman with family bonds to the former Yugoslavia. Through my relationship with her and her family I learned a host of cultural situations, a new language, and developed relationships with many from that region. Three years after our wedding, in June 1991 we travelled to the Balkans to meet my partner’s family and ‘take in’ the places of her homeland. Within days of our arrival war had begun in the former Yugoslavia. There was widespread military activity in the area bordering our suburb. I wanted to create a written record of my thoughts and experiences surrounding events as they unfolded. However given the stressful nature of what was happening and stories and fears of air-raids this became difficult to do. The urgency and uncertainty of the situation being faced by the people forced those around us to act in an erratic and hasty manner. Cars travelled the short and narrow streets at high speed only to screech during sharp breaking and emit pressured sounds of car horns. In conversation, decisions and plans were being made at one moment only to be changed in light of new, mostly unconfirmed information. The initial difficulty I had at the beginning of the war in former Yugoslavia, was that the war had caused people to speak more quickly. There was a distinct pressure of speech both on the street, among people in our apartment building and on the radio and television news as well. Despite a reasonable working knowledge of the language I could not keep pace with what was being said to or around me. The lack of clear information brought home to me in a most powerful and frightening way that I was powerless to improve my sense of personal safety. It also caused great pressure on my partner, who, given her better language skills, was then forced to undertake a key interpreting role. With limited understanding of what was happening and almost no mobility outside my immediate area, I was becoming increasingly concerned about the situation and knew that I wanted nothing else other than to leave the country. We did this, travelling on a train being used to evacuate refugees. It took several months for the events that I had experienced when in the former Yugoslavia to surface in my conversation with others. In practical terms conversations could quickly turn to debates about the conflict, often expressed as polarities of ‘right and wrong’. More fitting to my professional and personal life as a mental health professional is concern for the deeper meaning structures that surround experience and the way this intersected with the health and wellbeing of others. Many living in Australia have strong cultural and spiritual connections to the region. Such strong ties also meant a pre-occupation with the safety of loved ones. Mental health could no longer be seen as a localised phenomenon – it was now emerging as something that transcended the national settings within which people live. A global event unfolding on our television screens was being beamed into living rooms around the world. Images came with invisible bonds to those with intimate emotional connections. The health effects were profound and included feelings of frustration, sadness, intrusive and distressing thoughts, poor sleep and bouts of emotional exhaustion. Such experiences taught me about mental health and wellbeing in new ways that re-defined the drivers of mental distress. Health, and mental health in particular, was inextricably linked with the effects of long distance grief and dislocation. Physically people might be here, but emotionally they are ‘over there’. Thinking about mental health this way also helps me to understand a person’s conceptualisations of distress and the explanatory model they bring to their troubles. Outside observers can always interpret the behaviour of others in distress from their own viewpoint, but they will not be able to understand the crucial individual context behind such distress, fear or emotional turmoil without the active assistance of the person concerned. A possible starting point for dialogue towards a deeper understanding of distress is to begin with reframing of the question, ‘What is wrong with you?’ to, ask ‘What’s happening to you? This type of questioning acknowledges that the person has a story to tell on their terms using their language. It also takes us closer to the tenets of person-centred approaches in mental health. Such approaches also recognise distress in the context of the whole picture to better understand where a person has been in their life and what matters most to them – now and in the future. 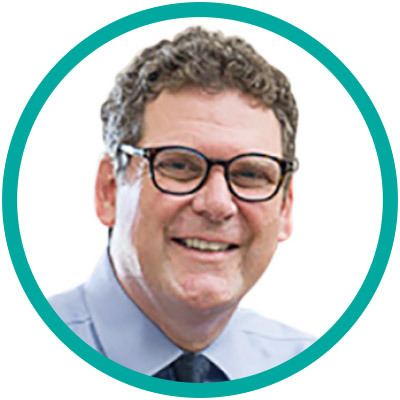 Professor Procter is UniSA’s Chair: Mental Health Nursing and leader of the Mental Health and Suicide Prevention Research Group. The strategic intent of his work is to partner with people and organisations who can use research to make a difference outside of academia, particularly in consumer and carer engagement and public policy. His most recent book Mental Health: A person-centred approach (Cambridge University Press) is in its second edition. 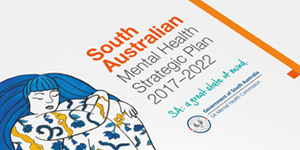 In 2017 Professor Procter was recipient of SA’s highest mental health honour, the Dr Margaret Tobin Award, and SA Health’s Mental Health Excellence Award for Partnering with Lived Experience.